Super excited to see Folk Pool & Gardens teaming up with the coolest craft beer crew on the island, Beervana, for the whole month throughout. What. 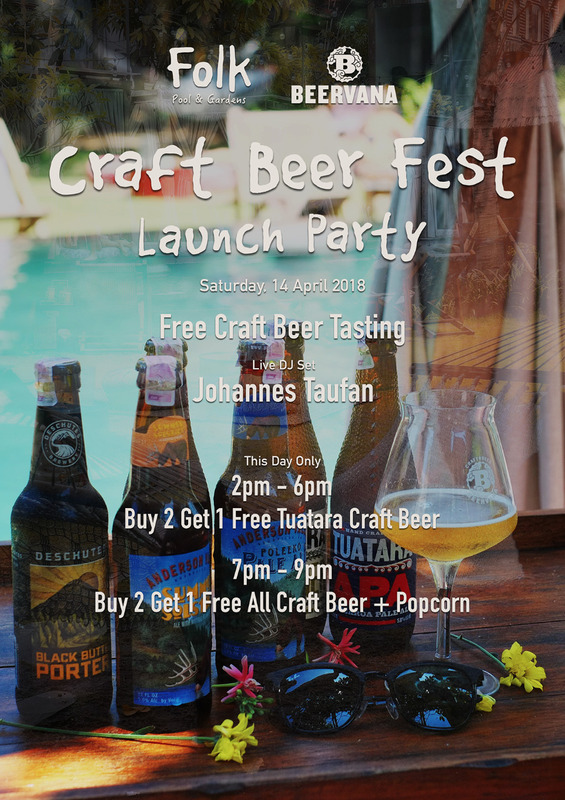 Join the launch party for a 4-hour free tasting of their special craft beers and enjoy island beats by DJ Johannes Taufan make most of your soak up time on the island!